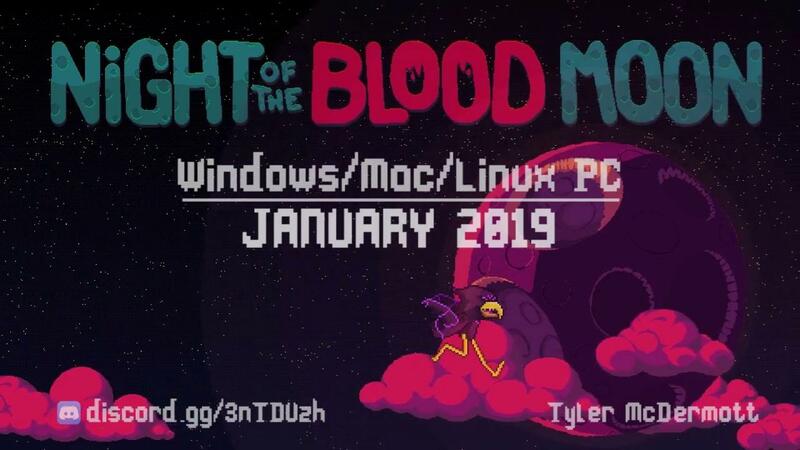 Night of the Blood Moon from sole developer Tyler McDermott is a cramped and quite interesting action game that feels like a twin-stick shooter inspired by the likes of Nuclear Throne. It was funded on Kickstarter back in August last year with 179 backers helping it become a reality. It arrived in Early Access on Steam only recently and after putting a few hours into it I really was impressed. It's a little rough around the edges but it's a promising and rather fun game. Much like Nuclear Throne from Vlambeer, you go through level after level in what are essentially small arenas, once you defeat all the enemies in the current level you're done and you move on. Even the ammo mechanic is similar in both style and how it works, with defeated enemies dropping little amounts. It has some random elements, so you could class it as some sort of rogue-lite with each run-through being different. Maps and enemies are random, the skill tree you use to pick new attributes is also different each time and so it has a good amount of replay value to it. There are some permanent unlocks like weapons, which you can unlock using what look like feathers you earn during each run. The game does get quite difficult too, especially the levels where they're a lot darker and so you don't see as much which can make it tricky to avoid enemies as well as their attacks. I mentioned that it's a little rough around the edges, as enemies sometimes get stuck on the edges of the map so it's not quite a polished experience just yet. While it advertises "Full controller support" it seems to not work at all with the Steam Controller directly through Steam. I tried it with SC Controller too, no dice there either. Dusting off my trusty backup, the Logitech F310 and that was the same, so it seems gamepad support doesn't work on Linux right now. Find it on Steam, just remember it's in Early Access so it's not finished. I like what I've seen quite a lot, it just needs more time in the oven and so I will be keeping a close eye on it. Cool. Reminded me a bit of Enter The Gungeon as well.